According to the Institute for Women’s Policy Research (IWPR), only 8% of Solo Moms enrolled in an associate’s or a bachelor’s degree program graduate within six years. But former Second Lady Dr. Jill Biden wants to change that statistic. In February 2019 at the Achieving the Dream national conference, Biden announced a new initiative called Community College Women Succeed, intended to help colleges understand how to help women, including Solo Moms, graduate from two-year institutions across the United States. A full-time English professor at Northern Virginia Community College and the Second Lady from 2009 to 2017, Biden is uniquely positioned to “know the ropes” in the spheres of both boots-on-the-ground education—and policy. The listening sessions are meant to help educators and higher education researchers develop programs to help colleges redesign their campuses. The goal? Meeting the needs of women who are students—and parents. And there’s definitely a need: according to IWPR, the number of Solo Moms attending two- and four-year colleges more than doubled between 1999 and 2011. As of 2012, the most recent year for which data is available, Solo Moms comprise 11% of all undergraduates. To learn more about Jill Biden, look for her memoir, Where the Light Enters: Building a Family, Discovering Myself (Flatiron Books), 2019. 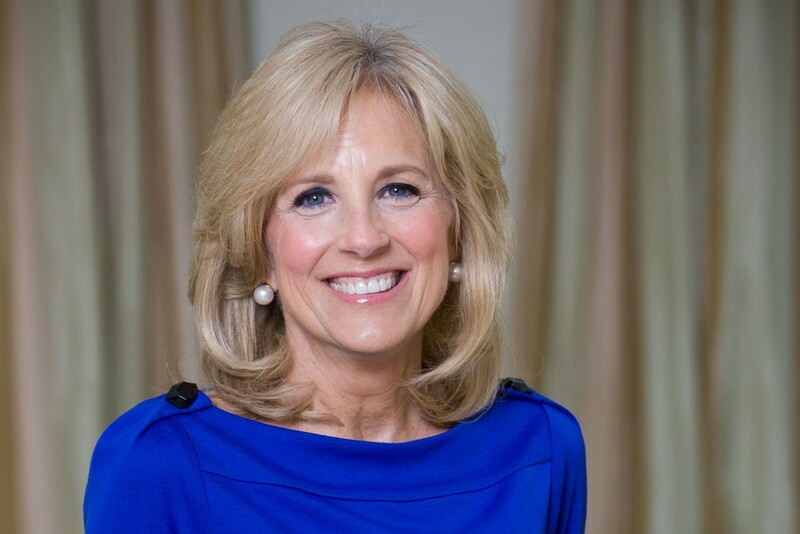 At ESME, we are pleased to support Jill Biden’s goals by offering an annual scholarship to a Solo Mom and to a son or daughter of a Solo Mom.